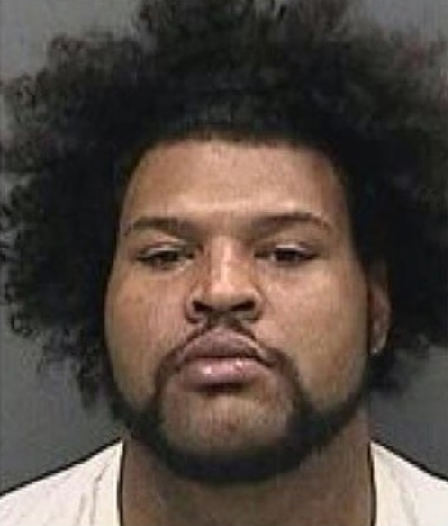 Deputies say a Florida man beat his stepson to death for sneaking out of bed to get a cookie on Dec. 30, and then may have made the boy's siblings lie in bed with the boy's body. Jack Junior Montgomery, 31, has been charged with first degree felony murder and three counts of aggravated child abuse. Hillsborough County Sheriff's Office deputies wrote in an arrest warrant for Montgomery that he and four children were staying in an extended stay hotel room in Seffner, Florida, around midnight on Dec. 30, when a guest in a neighboring room told a hotel manager she heard loud yelling coming from Montgomery's room. The guest allegedly heard an adult man yelling to "beat the kid," "push the kid over here," and "get his a** up." When a deputy arrived at the hotel, Montgomery told the deputy he had been listening to loud music, and then opened the door enough to show his children apparently sleeping in a bed. Later that day, just before 11 a.m., a man who identified himself as Montgomery called 911 and said his 6-year-old stepson wouldn't wake up and was not breathing. Emergency personnel arrived minutes later and found Brice Russell dead, cold to the touch. Detectives wrote in the warrant that the other children in the room said they awoke to see Montgomery punching the boy repeatedly in the face before picking him up by one leg and throwing him into a shelf. They said he also told them to punch and kick the boy. The children said at one point the boy appeared to lose consciousness, describing him as falling asleep and not waking up. Detectives wrote that the children described Montgomery putting water on the boy's face and slapping it in an effort to awaken him. Montgomery allegedly told police he caught the boy sneaking out of bed to get a cookie. He said he threw the boy back into the bed the boy was sharing with the other children, but did not meant to hurt him. Police also wrote that he acknowledged telling the other children to hit the boy, but said it was "only in fun" and not meant to inflict harm. Detectives wrote that Montgomery said the boy hit his head on the bed's headboard, but appeared all right before going back to sleep. A medical examiner determined the next day that the child was beaten to death. Montgomery has been assigned a public defender, according to court records, but has not entered a plea in the case. » The Oscars Is Long Over, But Can We Talk About How Taraji P. Henson "Cookie Lyon" Totally Slayed In That Hot Dress!